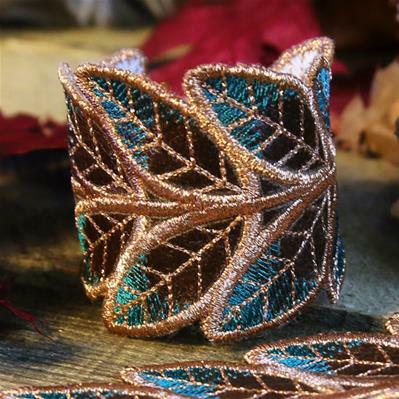 Add a bit of glamour to your wardrobe with in-the-hoop cuffs and jewelry. We'll walk you through the process, step-by-step! Cut out the printed dieline and lightly spray the back of the dieline with temporary spray adhesive. 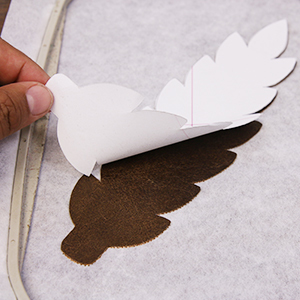 Lay it over the front of the leather piece and smooth it out, being careful to remove any air bubbles. Note: For this project we are using a standard lightweight leather. Leathers such as suede, deerskin and other soft leathers may be damaged by the adhesive. It is best to test a small piece of your chosen material before starting. 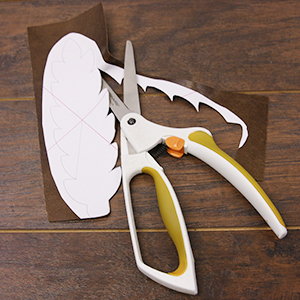 Once you have tested your material, cut out the dieline shape from the leather fabric. 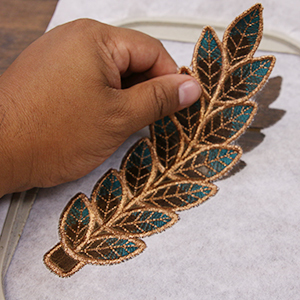 Load the main embroidery design onto the machine and hoop tear-away stabilizer in your embroidery hoop until it is taut. Secure the hoop onto your embroidery machine. Begin to sew. 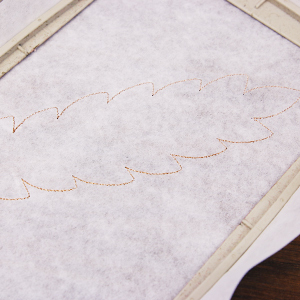 The first thing to stitch will be the dieline (outline) for placement of the leather piece. 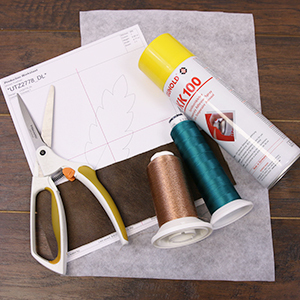 Once your dieline has finished stitching, remove the hoop from the machine but do not unhoop your stabilizer. 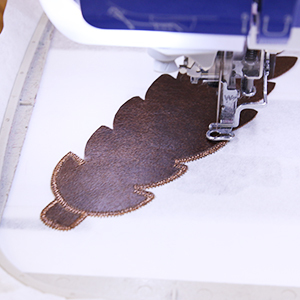 Lightly spray the back of the leather piece and place it smoothly within the sewn outline of the design. 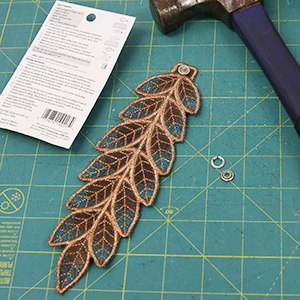 Next, remove the paper dieline from the front of the leather piece. Note: When sewing light weight leather, a standard needle should work fine. However, it may be best to use a more durable needle if you are using a medium weight or sturdy leather. Place the hoop back onto the machine. 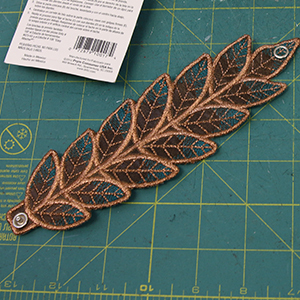 The first stitch will be a tackdown to prevent the leather from shifting. Continue sewing the design. 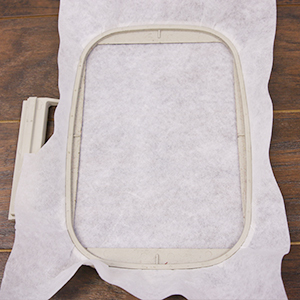 Once the design has finished sewing, gently remove the design from the tear-away stabilizer and from the hoop. 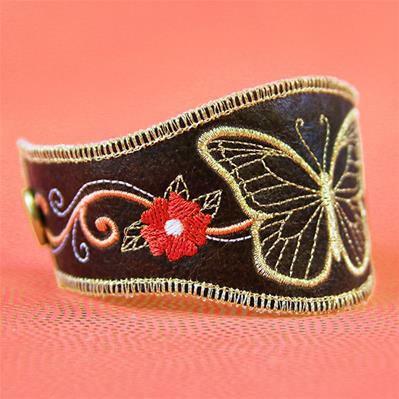 Add a snap fastener to complete this stylish bracelet. Simply follow the directions listed on the back of your snap fastener packaging, placing the socket on the stem of the design. 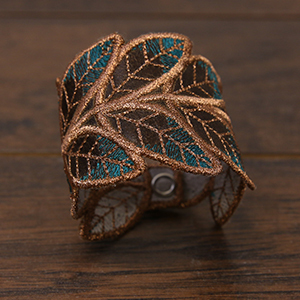 Position the stud on the other side of the leaf, according to the size of the wrist wearing the bracelet. 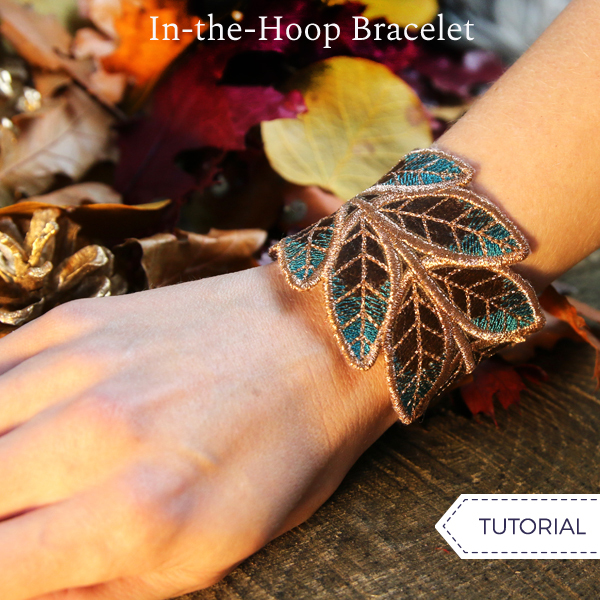 This design is so easy to create -- you could make multiple versions to match any outfit!